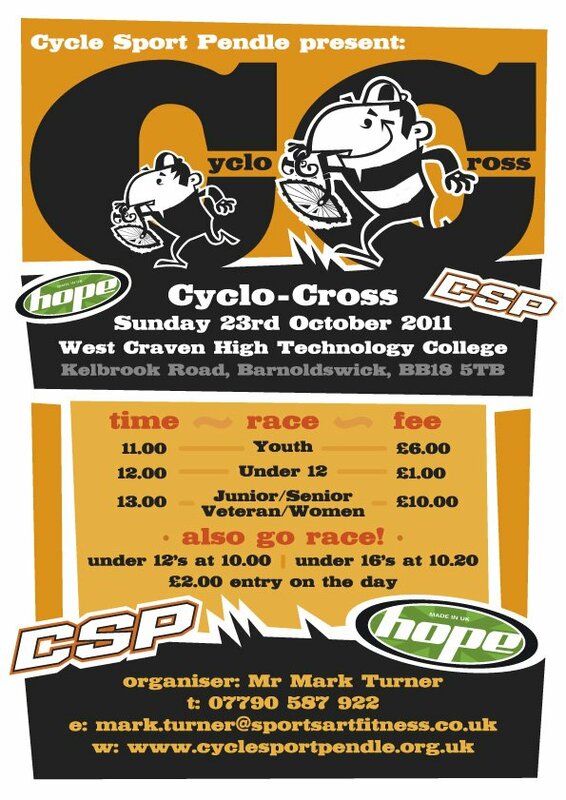 A new venue and new organisers so fingers crossed everything goes to plan and we have a great day of racing. The leisure centre have very kindly agreed that we can use their toilest and changing facilities, please make sure you remove muddy footwear before entering the centre. We are hoping that the venue becomes an annual event and we want the cooperation for next year. The day starts with the Go Race at 10.00am with the first NW race starting at 11.00am. We have tried to maximise the use of the land avaialble and produce a more Euro style course including a sand pit! It should provide ample overtaking room and be fast and flowing but also not intimidating for those new to cross. Hope will be on site displaying their shiny bits plus their new cross disc set up as ridden by Paul Oldham and they have donated some great prizes.